It seems like “the ghost of Ohio’s” path is not only hard in the comics or on a CD but is full of challenges in real life, too. 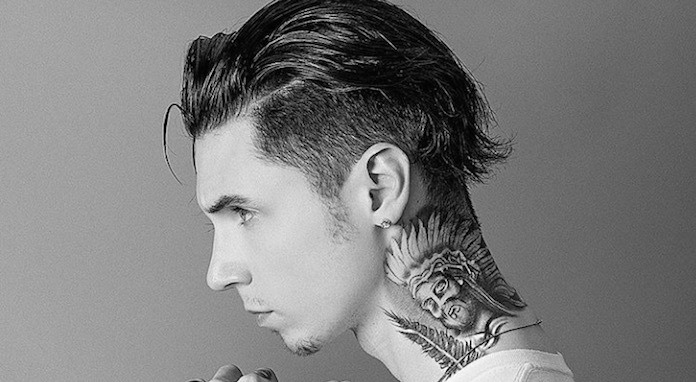 Just after he released the third single from his upcoming album The Ghost Of Ohio, ‘The Promise’, Andy Biersack had to quickly undergo a surgery. On Friday, Black Veil Brides’ frontman Andy Biersack, a.k.a. Andy Black, took to Twitter to update his listeners on how his recovery was going after they had removed his ruptured appendix. “For those asking for updates regarding the tour & my health: I am doing everything as instructed by my doctors post surgery and I’m going to attempt to run the show this week in rehearsals. I will let everyone know how the process is going. I don’t want to risk further injury by jumping in to the full show before my body is healed enough to withstand it, but I also plan to get on the road as soon as I am cleared to do so. I will keep everyone up to date on my progress! Seeya soon”. “’The Promise’ was inspired by my days spent driving up and down 50 west coming from my neighborhood on the west side of Cincinnati and heading towards downtown and into northern Kentucky where I spent almost all of my teenage years in bands, working on a dream. Every day I would use that drive as a chance to plan and think and hope and wish that one day I would be able to make music and tour the world. Andy Black’s second solo album will be out on April 12, accompanied by The Ghost Of Ohio comic book. To get a copy of The Ghost Of Ohio album, go to this location. As Biersack shall be back up on his feet “in no time”, remember to grab your ticket to catch him live. A run of shows is scheduled for the Black Veil Brides singer for this and next month. Go here for the tickets and tell us which show you’re going to in the comments.